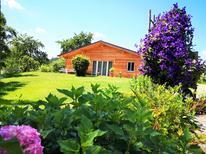 Holiday residence with indoor pool and wellness area in the Bavarian Forest. Bavaria | A vacation in a holiday park or a holiday residence is of particular interest to families with children and those who would like to have as few cares as possible when on holiday. Bavarian Forest | With these holiday houses it is explicitely allowed to bring pets so that your faithful four legged friend can also enjoy a relaxing and eventful holiday. 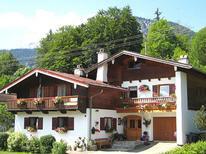 A holiday house in Bavaria costs on average USD 550 in the cheap travel period and USD 641 in the peak season per week. These details are of course in relation to the house and not per person as well as includes the obligatory additional charges. Bavaria is what usually comes to mind when travellers picture Germany. In many ways, it is the perfect example of what makes the country such a charming place to visit, with miles of green hills, traditionally built cities like Munich and a cuisine that places an emphasis on hearty dishes and beer. Bavaria holiday apartments, whether in the city or countryside, such as the Bavarian Alps, are the ideal way to enjoy this gorgeous corner of Germany independently. Bavaria is quintessential German and never fails to disappoint visitors with its amazing sights, both natural and historic. It's ideal destination for families as well as couples looking for a romantic setting in which to spend a holiday. Many of the state’s most iconic features are found in Munich, a prosperous town that is one of the most popular visitor destinations in Europe. As well as the successful football team, other symbols of Munich include the Nymphenburg Palace, former residence of the Bavarian kings, and the four royal avenues. These are a network of grand streets with magnificent architecture at the heart of the city, which transport visitors back in time. Ancient ruins, dramatic mountain ranges and world-famous landmarks such as Neuschwanstein Castle are among the other highlights to be found in Bavaria. 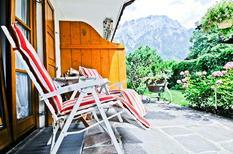 With independent holiday lettings in Bavaria, you can appreciate the best of the city or countryside at your own pace. Munich is a fantastic shopping destination, whether you visit the Christmas markets in December or you are looking for local produce to cook in your holiday home. The Viktualienmarkt is open every day and is a great place to pick up Bavarian food. Taking your produce back to your holiday home and cooking for friends and family is highly rewarding and also allows you to appreciate the amazing foods of the state more intimately. Restaurants of every kind are easy to find in Bavaria as well and countryside ale houses are excellent for soaking up the lively local atmosphere. 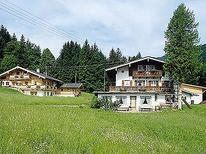 Bavaria makes an excellent destination for all types of travellers. 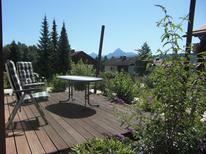 Couples can indulge in fairytale fantasies at Neuschwanstein, or spend a cosy weekend at a lodge in the Bavarian Alps. Alternatively, Munich is an excellent place to take kids, with interactive museums like the Deutsches Museum, with exhibits on science and technology. Motorheads of all ages will adore the super-modern BMW Museum. Walks around the Medieval city of Augsburg are also highly rewarding for outdoorsy families and it is also highly friendly to cyclists. Bavaria holiday homes are perfect for groups of friends as well, with huge traditional cottages and country homes to discover. Typical Bavarian foods include Weisswurst, a veal sausage, and unique delicacies such as Leberkäse. Lighter dishes include Bavarian potato salad and salami sandwiches with salad and coleslaw. If you are looking for a quick snack, Bavaria is one of the best places in the world to eat pretzels and Magenbrot is a type of ginger cookie that comes from the region. Bavaria adores its meat but if you are a vegetarian or vegan you can find a lot of restaurants catering for these diets in Munich. 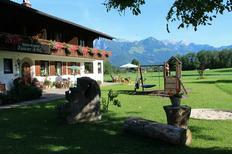 Supermarkets and international restaurants are also easy to find throughout Bavaria. 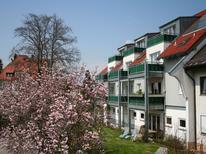 Bavaria holiday apartments and larger homes come in many different forms. Flats of varying sizes are available in the towns, from studios for one or two people to multi-bedroom city apartments that can house a group of eight or more. Further afield, into the Alps and beyond, there are traditional cottages and lodges which are perfect for absorbing the unmistakable Bavarian atmosphere. Exploring the different types of home on offer in Bavaria is one of the fun parts of opting for holiday lettings in the region. The state is ideal for enjoying the great outdoors and many homes place you right at the heart of gorgeous scenery, sometimes even featuring private gardens and patio spaces. Munich is the cosmopolitan heart of Bavaria and should definitely be on anyone’s wishlist for a holiday in Germany. It has a distinctly traditional feel that sets it apart from other cities such as Berlin and Frankfurt, and its superb museums and landmarks are excellent for history and culture buffs. Hiking in the summer or skiing in winter are fantastic ways of appreciating the Bavarian Alps and you can visit nearby royal palaces as well. Nuremberg is another famous destination in Bavaria and it is steeped in history and known for its traditional toy shops. The Franconian Wine Country is one of the best places in the country for viniculture and the local lakes provide a marvellous backdrop for nature lovers. From London, Munich is approximately 11 hours by car or train and flights take just about two hours. Journey times are similar from Manchester. This is the main hub in Bavaria from where you can hire a car or take a train or bus to wherever else you would like to see in the region. Opting for Munich as a base will allow you to take day trips further afield, although spending a week or more in the Alps is another great option. When is the best time to plan a holiday to Bavaria? There is truly never a bad time to visit Bavaria and the specific time of year you should arrive depends completely on you. Spring to summer is the optimal time to come and enjoy the countryside, perhaps hiking or cycling and being sure to pack the camera to capture the amazing scenery. Expect temperatures in the mid-20s°C in August. Oktoberfest is one of the world’s most famous events and Munich is still relatively mild at this time of year with temperatures usually around 10°C. Whether you are interested in skiing or checking out the traditional Christmas markets, Bavaria is also a popular destination for a winter holiday.